A FULL Detailed Planning application for our plans was submitted on 21st December 2018. See here for all the information submitted and to comment on our proposals. Two concerns that many people have voiced about homes on York Central are “how many will be affordable?” and “will they *stay* affordable?”. Initiatives in community-led housing in York and Leeds have demonstrated that – with support – people can be part of the solution to their own housing needs. This event brings personal experience from current projects, a chance to talk with members of a co-housing group, and information on government support for community-led housing. 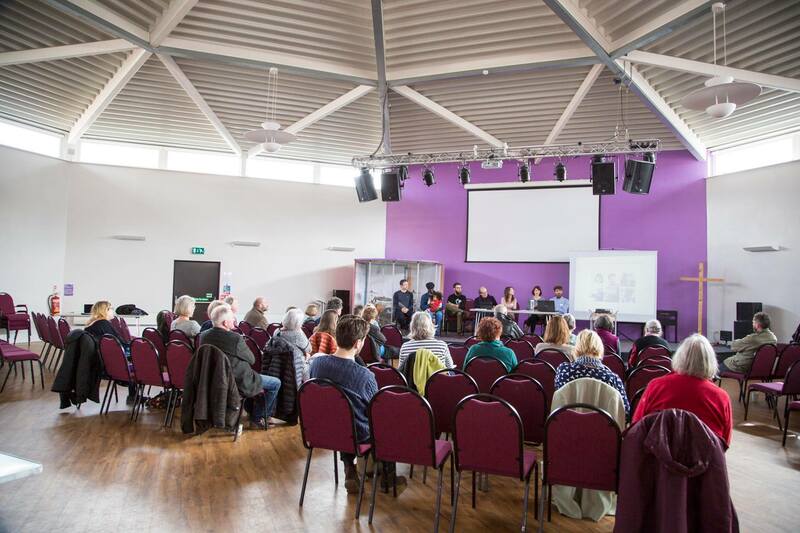 Speakers will include members of Yorspace who will describe the project’s progress towards building new homes in York, and Jimm Reed from CoHo, who has been central in community-led housing in Leeds for many years, and who was project manager for the successful LILAC cohousing scheme. YorSpace will be joining in the fun at the annual West Bank Park Summer Fair. Over 40 community stalls will be offering a wide range of activities with a backnote of fantastic sound from the York RI Golden Rail brass band. Birds of prey flying displays, ice creams, bouncy slide, junk percussion workshops, bubble sumo, giant games arena, judo displays, refreshments tent, have a go bowling, children’s crafts, an Acomb Community choir performance, the list goes on……we hope to see you there! Join us on 3rd April at 7pm at the Gateway Centre for our 2nd AGM! Here about our progress this year and help steer YorSpace's progress by voting on our Board elections. PLUS we are super excited to welcome acclaimed writer and film maker Peg Alexander who has agreed to introduce her documentary film "Britain's Housing Crisis: A People-Powered Solution" and host a discussion on community led housing.